2. This stator winding forming machine is driven by hydraulic system. 4. The stator O.D. maximum is 160mm. 5. This stator winding coil forming machine can be designed as per customer's stator. 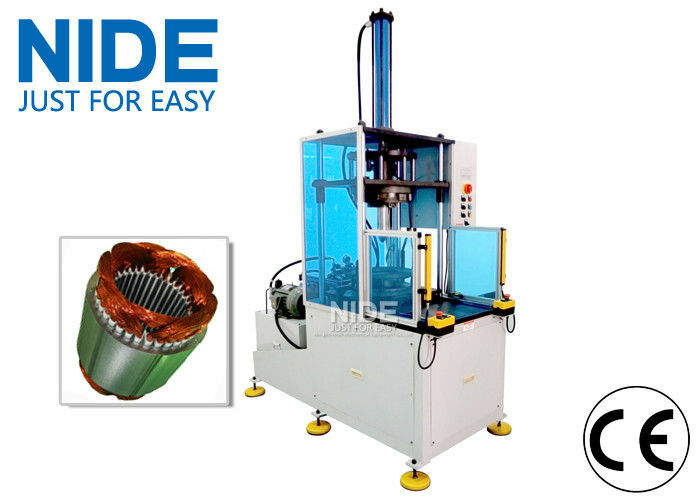 Stator Winding Middle Forming Machine is driven by hydraulic system; PLC programming;individual guard teeth in each slot settles fied wire and jump wire to ensure the reliability of electrical leakage distance; whole schematic design of inner expansion, outer wrapping and edge forming ensures appropriate winding outside dimension. Middle forming is done after winding inserting but before winding lacing. the stator winding forming machine equipment can be designed as per customer's stator. 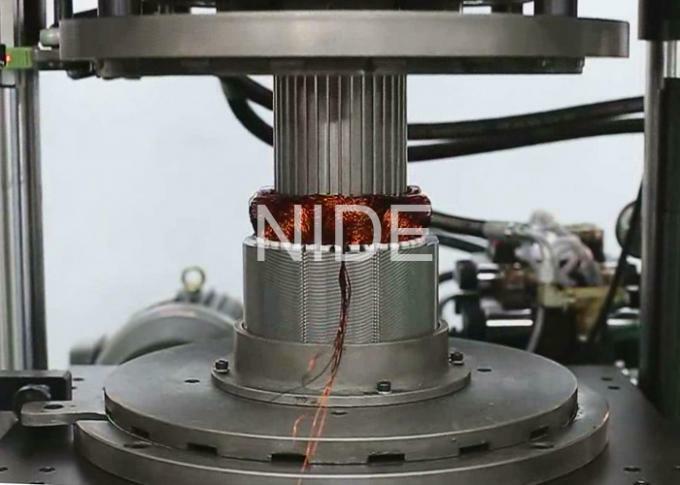 China Good Quality Armature Winding Machine Supplier. Copyright © 2014 - 2019 armaturewindingmachine.com. All Rights Reserved.